Modern kitchens are all about simple designs with an uncluttered façade and a sleek overall look. They have clean lines and simple styles with designs that focus on the use of the space for a highly functional kitchen. 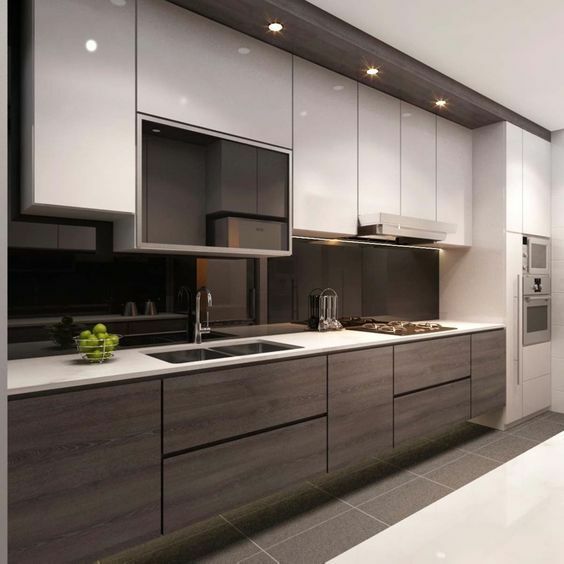 Elements such as duco’d or highly lacquered wood, polished granite and engineered stone countertops, glass and stainless steel appliances and a lack of ornamentation provide the sleek look that is the stamp of a modern kitchen. The cabinetry is flat and frameless with an emphasis on strong horizontal lines. Counters are uncluttered and appliances are integrated into the cabinetry. Push-to-open, finger grip and aluminium channels are often used in place of traditional handles. Sinks with sliding panels, retractable mixers, stainless steel cookers and extractors, custom under counter storage solutions, under counter lighting and hidden electrical outlets abound in the modern kitchen. The limited use of decorative accessories ensures the style is kept clean and open. The modern kitchen has less colour than the contemporary kitchen and focuses more on textures. 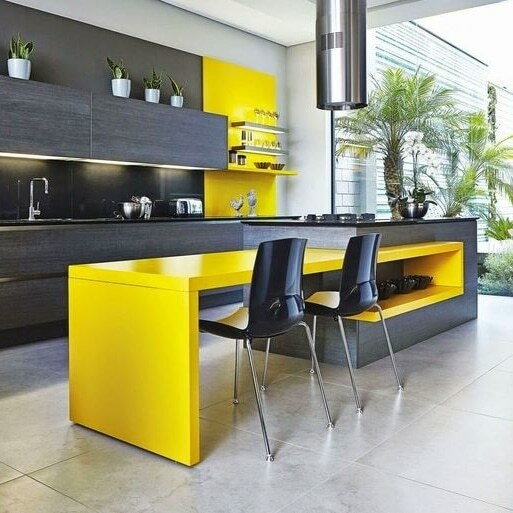 Color is used but in an innovative, understated way such as the use of monochromatic tile or glass backsplashes or sometimes a bold pop of color in open shelving or a kitchen island. 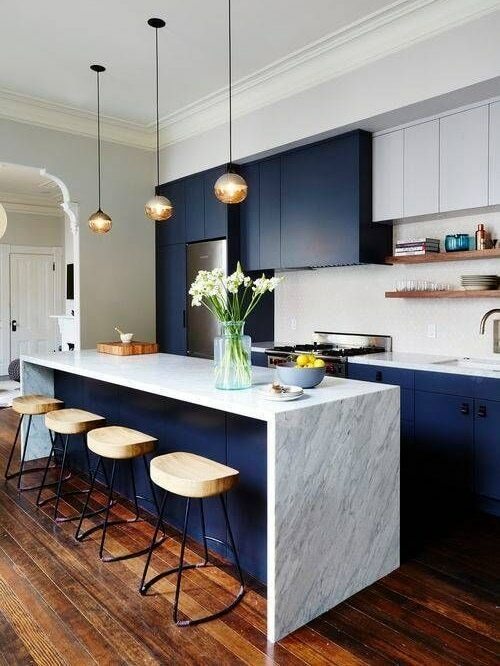 Bar stools or pendant lights can also be used to add color and interest but the overall look is always sleek, simple and uncluttered.